Welcome to some Cutting Cafe Inspiration! 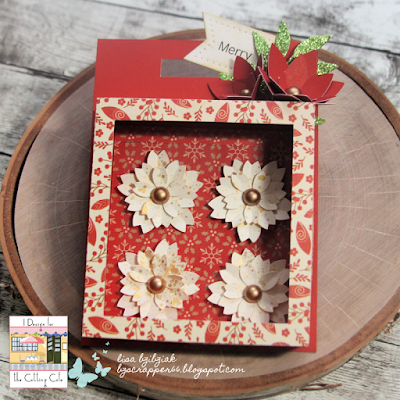 Today we're showing off gift ideas for the holiday and I chose to work with the Handmade Embellishment Box Set! 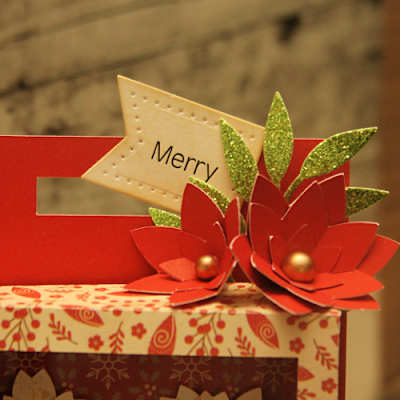 It's the perfect way to give a gift that you made and that the recipient can use to make something too! I decided to create some handmade flowers to give to a crafty friend! The box itself is super easy to put together! With cuts and scores in all of the right places, I didn't even need a video! That's saying something...lol! I'm in no way or ever could be an engineer... not in this life! I had lots of time leftover to make these pretty flowers... they COULD be poinsettias or they could just be pretty red flowers! 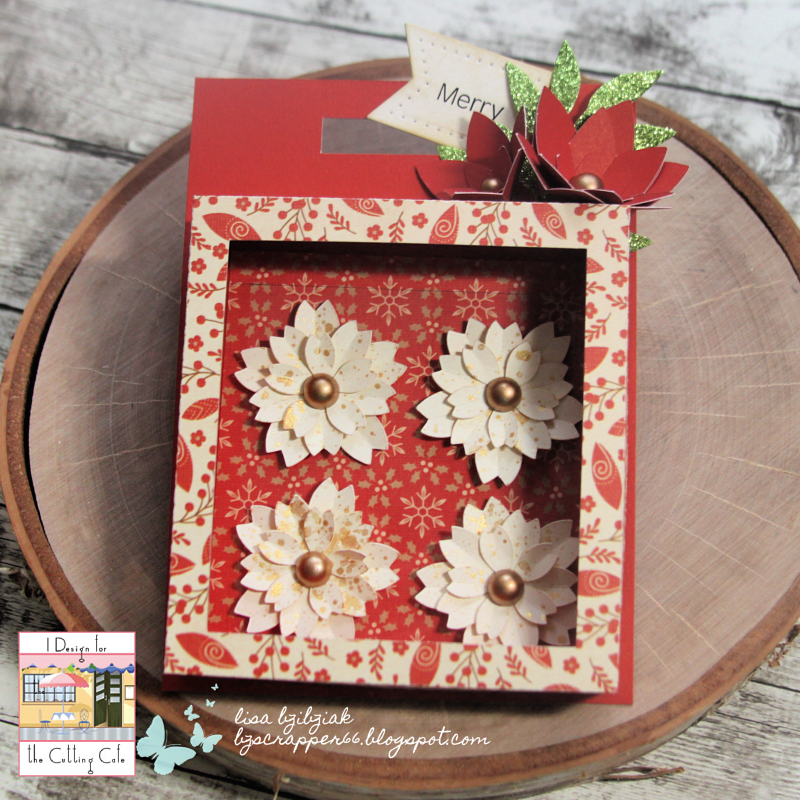 I pulled up the Layered Flowers cutting file and pulled them in to my Design Space. I created three different sizes about 1/4" apart in size and just duplicated to my heart's content! I kept duplicating until I filled a page. Then I cut one sheet of red and one sheet of white flowers! While I was playing with flowers, I "accidentally" cut a bunch of these flowers from the Popup Flower Card, but what a happy accident that turned out to be! 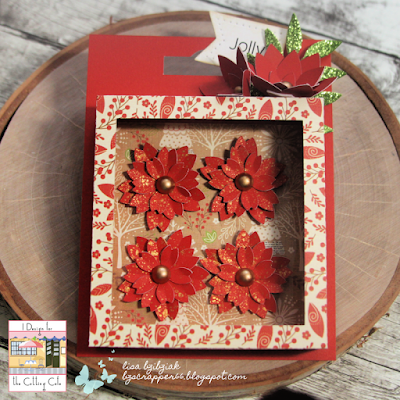 I used them as a decoration on the box and I used popup tape to hold them on ... they can easily (but not too easily) be removed and also used as an embellishment! I love the red and the white flowers!! After I cut them out, I sprayed some Heidi Swapp Color Shine in gold on them. When they were dry, I folded the petals just a bit where they are scored in the center of the petal for some dimension. Then I used liquid glass to layer them on top of one another and a gold pearl for the center! I cut a piece of acetate to fit inside the box that I used to attach my flowers to with a glue dot so they could be removed for use easily! You could add an acetate window to the box top if you'd like... I left mine open at least for now (much easier to take pics of!) but it would make a nice touch! 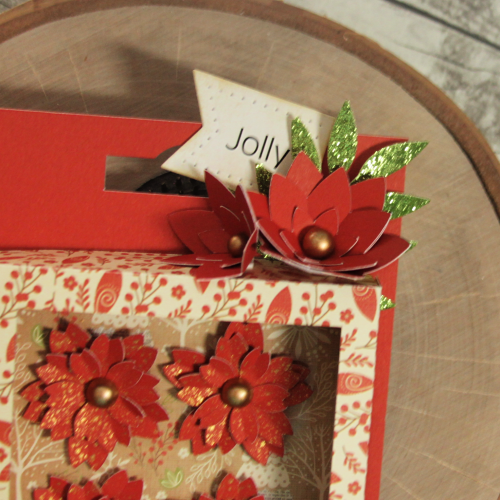 I also used some Christmas Mini Words that I'd printed a while ago and still had a few waiting to be added to a project.. perhaps one with pretty Christmas flowers. I just cut them out with a die and distressed them a bit. That's it for me today! Be sure to hop on over to the Cutting Cafe Blog! Comment there for a chance to win three files of your choice! And then check out what everyone has created for you today! You never know! Maybe it's that perfect gift you've been looking for! OKay... this I LOVE! Beautiful gift giving idea Lisa! Totally love the pretty boxes and how you decorated them.. then the gorgeous flowers you made to give as gifts... this is awesome! Have a fabulous Thanksgiving! Ohhhhhhhhh these are GORGEOUS! LOVING the flowers!!!!!! Very beautiful and those flowers are gorgeous too! I love the design and colors. 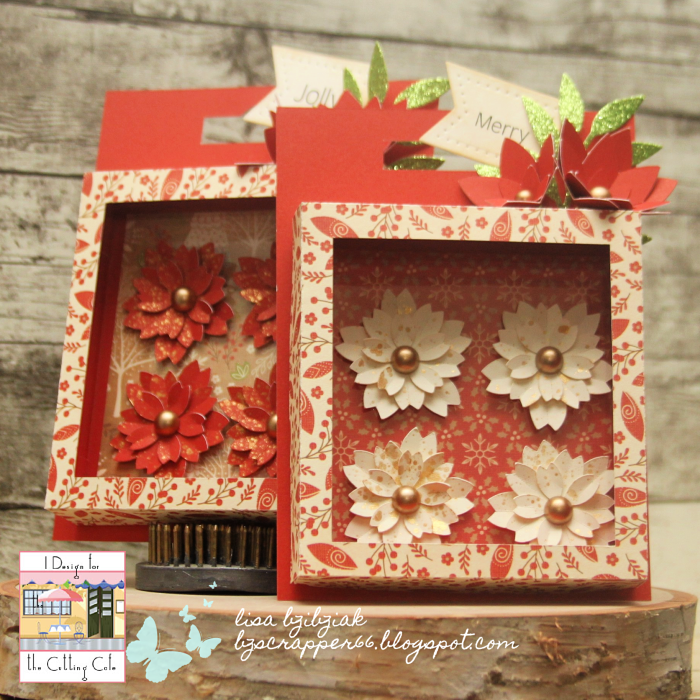 beautiful flowers and gift packaging!